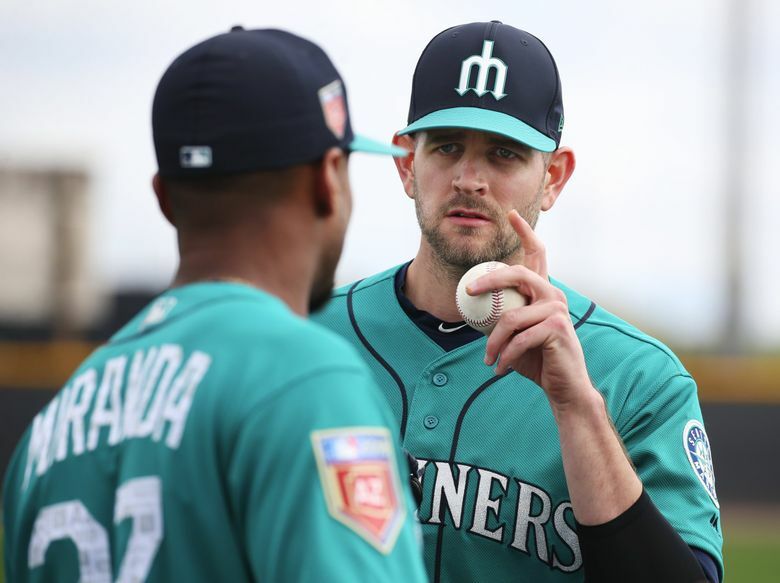 Will 2018 be the season James Paxton reaches the elusive 200-inning threshold and develop into the ace he's shown the potential to be? PEORIA, Ariz. — Got milk? 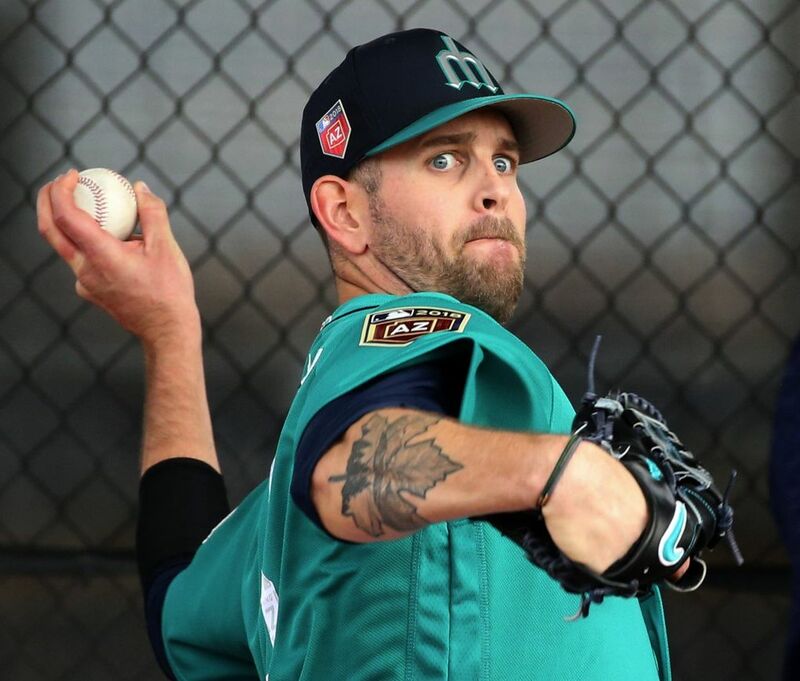 In his personal quest to pitch an entire season without time spent on the disabled list, reach the elusive goal of 200 innings pitched and being the top-of-the-rotation ace his potential suggests, the Mariners’ Paxton has continued to refine and adjust his offseason and spring training program. The latest aspect of that is a reduction of lactose in his diet. Following a breakout 2017 season in which he went 12-5 with a 2.98 ERA in 24 starts, Paxton decided to supplement his offseason preparation in search for better durability. He underwent myriad tests, including having blood samples drawn, to determine if changes to his lifestyle, specifically his diet, could lead to improved performance and injury avoidance. Without getting into every single detail, Paxton mentioned one noticeable change made because of the tests. So, in this case, milk doesn’t do Paxton’s body good. Out with the dairy milk and in with almond milk. “It’s not too bad, actually,” he said. But here’s the amusing side note to this change. Paxton’s wife, Katie Jo, is from Wisconsin and the couple built their permanent home in Eau Claire. So, no dairy in dairy country? Admittedly, his in-laws give him a sideways look about the situation. “It was a little awkward at first,” he said. And what does manager Scott Servais, who is a native of La Crosse, Wis., think of this? Family and state allegiances aside, Servais understood and respected Paxton’s dietary decisions. It’s part of the changing science in the game. Players have more information, technology and innovation than ever before. Why wouldn’t they use it to better themselves? And the not eating of cheese in Wisconsin? Paxton said he doesn’t feel invincible because he suddenly gave up cow’s milk and other dairy products. But the dietary changes this offseason were just part of the progression for Paxton. He also implemented a program from Muscle Activation Techniques, which “assesses and corrects muscular imbalances, joint instability, and limitations in range of motion.” It’s something he heard about from Hisashi Iwakuma. In years past, he’s trimmed off weight with better cardio and intensified offseason workouts. He added bikram yoga keep the weight off and become more flexible. The MAT workouts have added a little muscle, giving him a more athletic look. It’s not just about working harder, but working smarter and more efficiently on the things that can make a difference. With sports science and performance development becoming increasingly popular, Paxton tries to take in as much of the information available and digest it for his personal use. Yes, 2017 was a bit of a revelation for Paxton in terms of performance on the field, but those two disabled-list stints for a forearm strain and pectoral strain still linger as frustrations in his mind. That’s the reason for the evolving offseason plans. It’s constant preparation to reach those goals. If he does, he can elevate himself to one of the elite pitchers in baseball. There are more than a few fans and opposing scouts who doubt Paxton will get there. For as much as they are excited by his obvious talent and infatuated by periods of dominance, they still consider him an injury and disabled list appearance waiting to happen. They won’t allow themselves to believe. Over his big-league career, he’s dealt with a lat strain, shoulder inflammation, a strained finger tendon, a torn fingernail, a bruised bicep, forearm tightness and the pectoral strain. Some are fluky, others are frustrating. It’s why he continues to be open to new ways to forego such problems, even if it means no more grilled-cheese sandwiches.